Tania Stanly malayalam actress profile, biography and upcoming movies are given here. Know about Taniya Stanly's family, parents and their contribution in making her to chase dreams. Taniya is budding actress who has shown her talent in various ramps and dance competitions. Talented in dancing and modeling, young Taniya is a gifted talent for the malayalam film industry. The modeling units have contributed a lot of gifted talents who have already made their own space in the film industry. Many among them were lucky enough to climb up the ladder expanding their fame in various industries including bollywood and even hollywood. Some of them could keep the pace and get well noted at the International arena. The modeling institutes in the state too had given their share of artists for the malayalam film industry. It stayed as the backbone in providing many youngsters who have contributed a lot for its development. Tania Stanly is a budding actress who has shown her talent in various ramps and dance competitions. Talented in dancing and modeling, young Taniya is a gifted talent. Know more about Taniya Stanly's special interests and acting experience. Tania Stanly born on 5th April 1992 was brought up in UAE where her parents were settled. After completing her basic education from Our Own English High School, Sharjah, Tania joined the Birla Institute of Technology and Science, Pilani located at Dubai International Academic City, Dubai, United Arab Emirates for her engineering graduation. After the completion of her studies, Tania who had a passion for modeling and dancing wished to try her luck in both fields. After being credited as best dancer both in inter & intra college competitions, Tania joined the Jazz Rockers Dance Company as a part of internship and to polish her dance talent. Interested in modeling, she stepped into the ramps and participated in various beauty pageants. The modeling industry was truly looking forward her arrival. She won the Miss Beautiful Eyes in Miss Kerala 2012. She was also a contestant at the Manappuram Miss South India 2014 organised by Pegasus. Having a determined mind to work hard to achieve her goals, 21 year old Tania is vivacious and finds her family as her strength. After doing her interns at L & T and ThyssenKrupp Elevadores, Tania had plans to hunt for a job and do her master's degree simultaneously. But unexpected things were waiting for the young beauty to land into movies which seems to be turning point in her career. It was too hard for Tania to believe who even was not sure of working in the movie' Raja Di Raja'. She was even surprised to share screen space with Mega star Mammootty. Even her first short was itself was touching the feet of Mammootty and taking his blessings. She plays the character role as the daughter of Siddique and Lena in the movie. 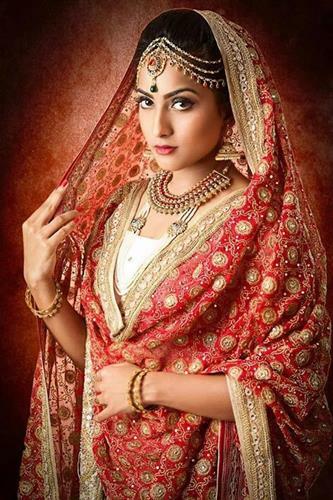 Having an experience facing with photoshoots and modelling, Taniya wasn't nervous to face the camera. But the presence of experienced actors like Mammootty, Siddique and Lena put fretfulness in the minds of Tania. She even remembers the support offered by Mammootty in shaping her acting skills. She was little nervous and had to take too many retakes. Mammootty intervened during the situation and eased her anxiety. After wrapping up the movie, Tania was supposed to fly back to UAE. But she is yet to continue works in films of head to Dubai to continue her studies. The young actress is yet to figure out her further plans. Let us wait to hear more good news from Tania Stanly, the beauty with brain.